Level 3 Communications announced a substantial expansion to its content delivery network (CDN), increasing its footprint with new points of presence (PoP) in Europe, Asia, Middle East, Africa and Latin America. "Level 3 has a strategic focus around growing its content delivery network to address the ever-increasing globalization and mobility of entertainment, news and sports content," said Mark Taylor, vice president of Media and IP Services at Level 3. "This current expansion, along with Level 3's expansion into Latin America in 2012, shows our commitment to providing secure scalable network resources and solutions for customers around the world to grow their businesses and reach audiences worldwide. We will continue to extend our reach as it makes sense for our business and our customers." Level 3 noted that its CDN revenue grew 37 percent in the third quarter of 2013 compared to the same quarter in 2012. 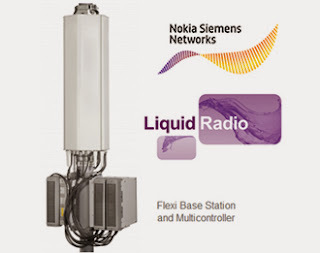 Nokia Solutions and Networks introduced a TD-LTE 8-pipe radio module for Band 41 spectrum at 2.6 GHz. The new base station component is the industry’s highest capacity 8-pipe radio module. NSN said its new radio module is ready for the evolution of carrier aggregation and capable of supporting an unprecedented 120 MHz of bandwidth that can deliver more than 1.2 Gbps of total site throughput from a single unit. It supports three sectors in a single unit even for remote configurations, unlike conventional remote radio modules that run only one sector per module. It needs no air conditioning and can be pole-mounted or placed near the antenna tower base, substantially reducing installation and maintenance costs. Countries adopting the 2.6 GHz LTE TDD spectrum include Brazil, China, India, Japan, Russia and the USA. Sprint will be using the new 8-pipe radio module for its LTE TDD deployment in Band 41 spectrum range. Mavenir Systems completed its IPO, offering 5,450,000 shares of common stock at an initial price of $10.00 per share. The shares are not trading on the New York Stock Exchange under the ticker symbol “MVNR”. Shares of MVNR closed on Thursday at $9.55, down 4.5% from the opening price. 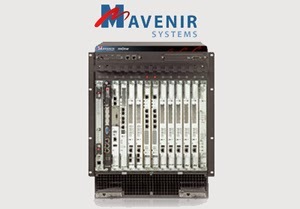 Mavenir's mOne Convergence Platform for mobile service providers supports Voice-Over-LTE (VoLTE) and Rich Communication Services 5.0, as well as Voice over Wi-Fi (VoWi-Fi) over existing 2G and 3G networks and next-generation 4G networks. Vitesse Semiconductor amended its senior secured loan agreement with Whitebox VSC Ltd. giving the Company rights of pre-payment, modifying interest rates and extending the maturity date to August 31, 2016. As part of the loan refinancing, Vitesse repurchased $13.7 million of convertible second lien debentures held by Whitebox, reducing the company's total indebtedness. The new terms provide Vitesse with working capital to further fuel its new product growth strategy and supports increasing stockholder value. "Vitesse is committed to managing our capital structure in order to achieve sustained profitability," said Chris Gardner, CEO of Vitesse. "This loan resolution provides us with the flexibility to use our cash to pre-pay our debt, enabling us to further de-leverage the Company. Greater cash flexibility allows Vitesse to make prudent near-term investments to amplify the market traction of our new and next-generation product portfolios thereby increasing stockholder value." Octasic introduced its newest Small Cell platform supporting all cellular standards: GSM/EDGE, WCDMA, HSPA, and LTE. The OCTBTS 3000 is an OEM-ready platform that includes baseband hardware and software, an RF front end, and a power-efficient application processor. The complete platform fits into a compact 70x75 mm form factor. Capacity ranges from 8 to 32 active users across the various cellular standards. Applications include: network extension for capacity and coverage, Network in a Box (NIB), emergency response networks, military networks, C4ISR, human portable BTS, surveillance, and many more. Wide reach: Octasic’s OCT2224W DSP enables a cell range of 20 km. A single Small Cell can replace multiple limited-coverage NodeBs and avoid handover between them and complex backhaul architecture. Carrier Agility: The OCTBTS 3000’s dynamically re-programmable radios can operate from 400 MHz to 3 GHz with bandwidth from 200 kHz to 20 MHz. The same platform can be used in all operator networks worldwide, or for custom waveforms and frequency bands. 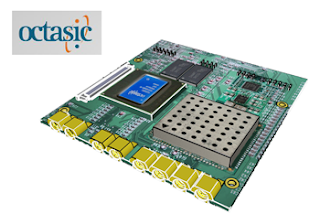 Complete PHY Software: Octasic’s flexiPHY software offers 3GPP-compliant physical layers for GSM/EDGE, WCDMA, HSPA, and LTE, eliminating the need for OEMs to develop the baseband portion of the design. Customizable: Using Octasic’s comprehensive development toolset, Opus Studio, OEMs can enhance the flexiPHY software or develop their own proprietary PHY. 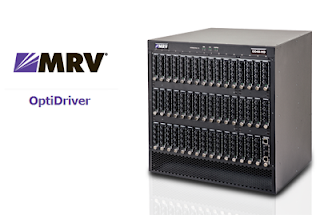 MRV introduced its new "OptiDriver" high-density, 10 Gbps optical transport platform featuring built-in testing and rapid turn up capabilities. MRV said its OptiDriver was designed for intelligent ROADM and 100Gbps transport. The chassis supports modules from other MRV optical transport products and is fully integrated into MRV’s advanced Pro-Vision service delivery and provisioning platform, with built-in processing support for current and emerging intelligent control plane technologies like GMPLS and Software Defined Networking (SDN). The 10RU chassis can support up to 48 single height cards and 80 wavelengths. The multi-function hardware can serve a variety of applications, including Ethernet, OTN, TDM, Fibre Channel, ESCON/FICON, Infiniband and others. 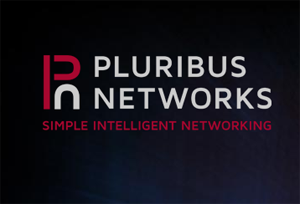 Pluribus Networks, a start-up developing software and hardware network virtualization platforms for the cloud, named Kumar Srikantan as its new president and CEO. Srikantan previously served as general manager and vice president of Cisco’s Enterprise Backbone Business Unit, as well as vice president of marketing for the Cloud Switching and Services Technology Group. Pluribus Networks has pioneered a distributed bare-metal network hypervisor OS technology, Netvisor, along with defining a server-switch hardware platform. The company is based in Palo Alto, California. Telekom Malaysia (TM) has activated "Cahaya Malaysia", an undersea cable networkin between Malaysia–Hong Kong and Hong Kong–Japan. The cable initially supports 40 Gbps digital coherent optical transmissions technology and is designed for upgrade to 100 Gbps and a full capacity of up to 10 Tbps. Cahaya Malaysia was built in collaboration with Japan's NTT Communications Corporation (NTT Com), Philippine Long Distance Telephone Company (PLDT) and Singapore's StarHub. Telecom Malaysia is also launching an initiative called "My1Hub" that provides a neutral one-stop hub enabling seamless and reliable connectivity from Malaysia to the rest of the world via its submarine cable investments. In terms of the infrastructure, TM said its My1Hub nodes are pre-wired domestically to the cable landing stations at a very high capacity bandwidth. Customers residing at any My1Hub nodes will be able to link to all submarine cable systems which TM are connected to via four (4) cable landing stations namely Cherating in Terengganu, Mersing in Johor, Kuala Muda in Kedah and Pengkalan Balak in Melaka. At the same event, TM also launched the Iskandar International Gateway (IIGW), its latest investment in Iskandar Malaysia, that provides a neutral hub catering to various information exchange needs.